Dave Henderson & Merrilyn Spencer called in today to tell us how lucky we are to have Eric Bedford on board out at the Bungles. We already knew that but a little boasting never goes astray. This is what they had to say: Read More. 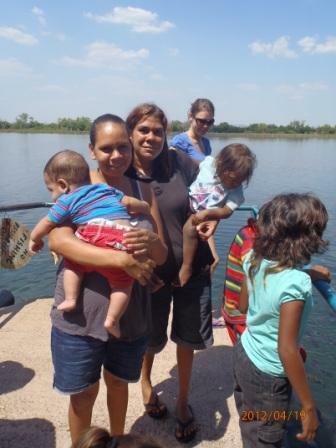 Wunan would like to cogratulate Norma Willaway (2011 winner of the East Kimberley Aboriginal Achievement Award for Outstanding Contribution to Aboriginal Educaiton) who has gone on to win the Barry Hayward Award for WA Outstanding Aboriginal Teacher . Read More. In 2011 Wunan, along with a range of partners, rolled out the Parent and Community Engagement (PaCE) Program. The goal of PaCE is to work directly with families and community to increase school attendance, improve student outcomes and ensure stronger parental involvement in their child’s education. To achieve this PaCE is designed and delivered in a way that increases knowledge of the educational process. Read More. Wunan Foundation Kununurra WA 6743 22nd May 2012-05-22 TO WHOM IT MAY CONCERN Hello my name is Gene Greddon I am employed and a apprentice with KGT as a Diesel Mechanical Fitter Argyle Diamond Mines Western Australia. I would like to express my appreciation to Wunan and staff for the opportunity to having a stable, safe, affordable and family environment “home”. I have resided at Wunan House since December 2011. My previous living standard was up and down and I did not really have a place of independence as i was living with family or friends, in which at times it was overcrowded and financially supporting others so as I could have bed to sleep in to have some peace of mine for a short while whilst on my Rostered Days off. Wunan House has given me the opportunity the ability and the responsibility to be independent, to remain […] Read More. Out of a pool of 1100 applicants who applied for funding from Charitable Trusts managed by Perpetual, only 166 were successful. Assessed against the parameters of strategy, outcomes, capability and leadership, Wunan is the recipient of $80,000 to fund the Dural Excellence Program for the next 2 years. Read More. More often than not there is a win that gives us the heart to soldier on … The sweet potatoes Anton planted last November. 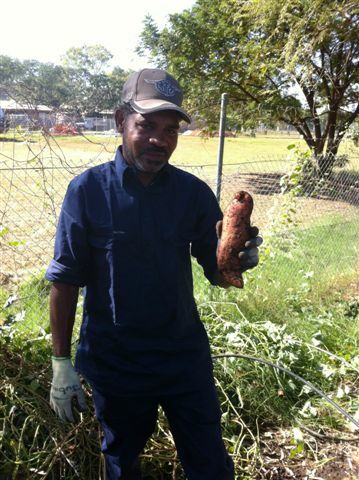 On a recent visit to Halls Creek, Anton showed me around projects at the hospital gardens and Anton was very proud of his harvest of sweet potatoes. Anton plans to attend TAFE for a couple of hours a week as part of the 3 days a week he works. Read More.